In this first-ever reproduction, the Fender '72 Telecaster Deluxe Electric Guitar duplicates every cosmetic nuance of the original introduced over three decades ago. 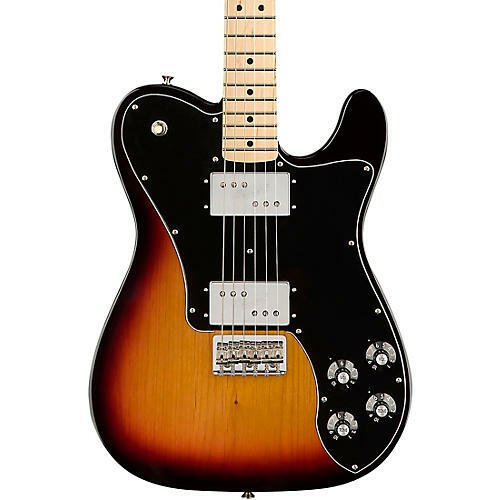 Crafted with an alder body, one-piece C-shaped maple neck, a Strat headstock, 6-saddle string-thru bridge, dual humbuckers with alnico magnets for unique fat and gritty Tele tone, and 3-way switching. 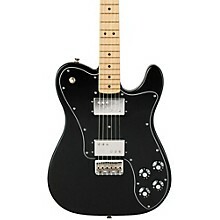 Includes deluxe Fender gig bag.